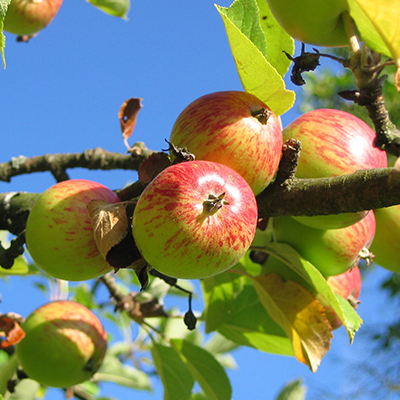 USE LESS WATER AND FERTILIZER – PRODUCE MORE WITH LESS. Better knowledge of when to start and stop the irrigation will help protect the most important resource – WATER! Run your irrigation system when the plants ask for food to avoid fertilizer leaching and to save energy without sacrificing quality and yield. SOLUTIONS FOR SOIL MOISTURE MONITORING AND IRRIGATION MANAGEMENT. 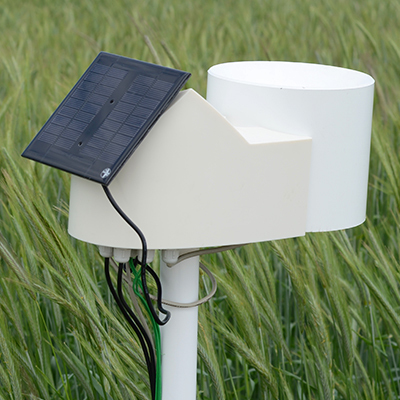 Pessl Instruments offers a wide range of hardware and software solutions for efficient and cost effective soil moisture and irrigation management. 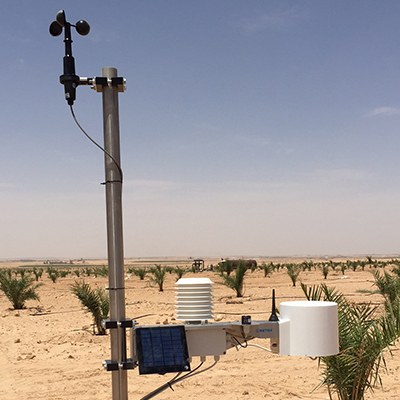 Hardware devices monitor the soil (moisture, temperature, salinity, presence of nutrients), the plant (dendrometric variations…), and the atmosphere (all meteorological variables, from which you can estimate the evapotranspiration), and also the irrigation system (flow, water level, pressure, pH and electrical conductivity of fertilizer…). The measured values can be combined with site-specific weather forecasts and are accessible in near real-time on the FieldClimate platform. The weather forecast is updated on an hourly basis, available for a 3 to 7-day window and includes a number of variables – quantity and probability of precipitation, temperature, wind speed/direction, leaf wetness, relative humidity, and evapotranspiration. This enables the user to implement the best soil moisture-irrigation strategy for the fields. For example, understanding soil moisture values in a dynamic root zone allows the definition of a crop and soil specific growth season template, while near real-time field measurements, combined with forecasted evapotranspiration; provide an insight into future water use. A CROP WILL NOT GROW WITHOUT WATER OR SOIL MOISTURE. THE KEY, HOWEVER, IT’S DETERMINING WHEN THE PLANT NEEDS WATER. TOO MUCH WATER CAN BE MORE DETRIMENTAL THAN TOO LITTLE. HOW TO DEFINE THE RIGHT AMOUNT OF WATER FOR THE SOIL? THE ANSWER TO THE DILEMMA IS THE iMETOS® SYSTEM. iMETOS® System comes with a wide range of first-class soil moisture sensors that can be inserted in various soil depths. The sensors will supply the grower with daily water consumption of the crop within the different soil layers as well as with the ET (Evapotranspiration) data. This data through our cloud software solution (FieldClimate) is then used to determine the optimum time for irrigation. Our DSS for irrigation will help prevent both damage due to drought stress and excessive watering. Calculation of an average root zone soil moisture graph defined by the user (the upper full amount known as full point or field capacity and the lower amount or refill point). Various sensor layers can be displayed in graphs in a number of formats, including standard, stacked or average. Full and refill point budget lines are color-coded so users can clearly see the range of soil moisture for optimal management – red (deficit), green (comfort zone) and blue (excessive soil moisture). Weather measurements and forecast, such as precipitation amounts and timing. Growing degree days (phenological stages). Current and forecasted evapotranspiration ET0. PESSL INSTRUMENTS IRRIGATION MANAGEMENT SYSTEMS CAN BE USED IN ALL IRRIGATED CROPS. 30 YEARS OF EXPERIENCE HAVE SHOWN THAT GROWERS CAN CUT DOWN ON UP TO 50 % OF IRRIGATION RUNNING TIME AND SAVE ENERGY, WATER, SERVICE COSTS, FERTILIZER AND HAVE HIGHER YIELDS WITH LESS INPUT. The crop shown in the graph is initially subject to two irrigation interventions on a daily basis. Thanks to probe monitoring of volumetric water content, it was observed that an acceptable soil moisture level for the crop could be maintained even with only one irrigation intake per day. Result: Immediate 50 % water saving. Вибачте цей текст доступний тільки в “Англійська”, “Німецька”, “Італійська”, “Іспанська (Європа)”, “Português do Brasil”, “Російська”, “Французька”, “Турецька і “Español Mexicano”. For the sake of viewer convenience, the content is shown below in this site default language. You may click one of the links to switch the site language to another available language.